Upstairs in the Spar shop on Homerton's Brooksby's Walk is the second Eat 17 restaurant in Hackney, sister restaurant to the original Eat 17 in Walthamstow. It is situated in a beautiful building that first opened its doors as "The Electric Cinema" 100 years ago. They pride themselves on using ethically sourced quality ingredients, delivered efficiently and knowledgeably. And it shows. 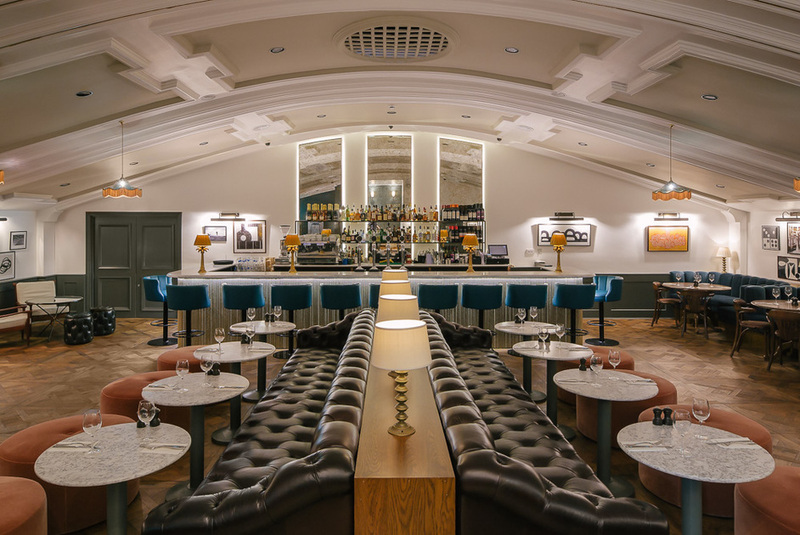 The modern British food, with a focus on simple and seasonal meals, from roast beef to seabass with delightful trimmings, are all served in a comfortable, relaxed setting, topped off with a fully stocked bar. A strong contender for the best place to drink and dine in Homerton and Clapton area. Eat 17 Hackney gyms, sporting activities, health & beauty and fitness. The best pubs near London Eat 17 Hackney. Eat 17 Hackney clubs, bars, cabaret nights, casinos and interesting nightlife. Where to have your meeting, conference, exhibition, private dining or training course near Eat 17 Hackney. From cheap budget places to stay to luxury 5 star suites see our discounts for Eat 17 Hackney hotels, including Holiday Inn Express London-Stratford from 90% off.